Dara Singh, the legendary actor, unbeatable wrestler, the granddad of Indian Television & the legendary Hanuman in minds of millions of Indians born in the 90's. As you might know, the legendary wrestler turned actor expired on 12 July 2012. This post recalls his journey from a child in Amritsar to a world dominating Wrestler to the legendary awe-inspiring Hanuman & finally the grand-dad of Indian Television Cinema. Did you know Dara Singh was born as Deedar Singh Randhawa in1928? Singh went to Singapore in 1947 and became the Champion of Malaysia. He had toured almost all the countries of the far-east as a professional wrestler. 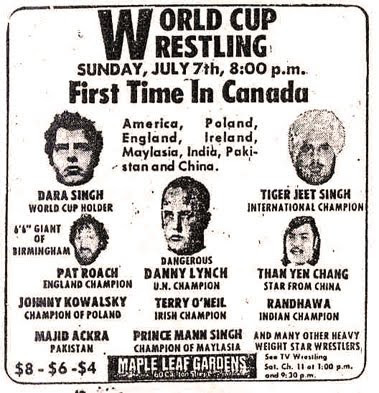 Most of Dara Singh's fights were in the field of professional wrestling, which are WWE kind of fights, and are not considered real. Dara Singh started his career as an actor in 1952 with Sangdil. He is known as the first Action King of Bollywood and was successful as an action hero in the 1960-69 in Hindi Films and in Punjabi films from 1970-82. He was the first Indian hero who started the trend of hero having a eight pack abs and taking the shirt off. He appeared in 121 Hindi feature films and in 21 Punjabi films. He took up supporting roles in Hindi Films from 1980's till 2012. He turned a producer, director and writer when he made Nanak Dukhiya Sub Sansar in 1970. He also did 6 TV serials. One of his notable friends was the actress Mumtaz with whom he had performed in 16 Hindi films and had 10 of them as box office hits. He appeared in some of the most entertaining television series of the 90's & always in the role of the wise Grand-dad of the protagonist. He was admitted in Kokilaben Dhirubhai Ambani Hospital on 7 July 2012 following a cardiac arrest. He was released from hospital on 11 July in deference to the wishes of his family. He died on 12 July 2012 at his home in Mumbai. Dara Singh married twice. He had a son, Parduman Singh Randhawa, from his first marriage and from his second marriage he had five children: two sons and three daughters including Vindu Dara Singh, who is a film and television actor. 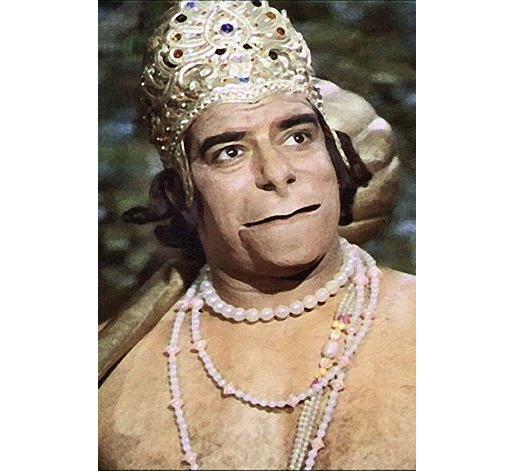 Dara Singh will always be the man remembered for his role as Hanuman in the tv-series & film, Ramayan in the mind of us, the children born in the nineties.